Section Menu...For Providers • Contact Us • FAQ • Why Aspirus? It all comes together at Aspirus. Whether you are finishing a fellowship or residency, or you’re a practicing physician looking for a new job opportunity, Aspirus offers a variety of attractive physician and advanced practice provider job options. 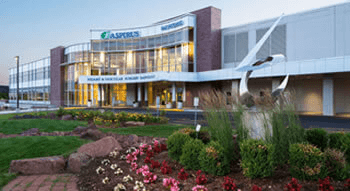 Aspirus is a nationally-recognized health system based in Wausau, which is located in the center of Wisconsin. With more than 7,600 employees and a world-class consortium of more than 500 providers, we provide a higher level of care to some of the most wholesome, family-focused communities. Not only is Aspirus committed to medical excellence, but our providers get to live where they vacation. North Central Wisconsin and the Upper Peninsula of Michigan are great places to raise a family and make it easy to get the most out of your life outside of the clinical setting. The resources are in place for Aspirus to continue to set the standard for health care in our region, but we’d like you to become a part of the Aspirus family and see health care and community at its finest. Don't see an open opportunity that's right for you? We'd still like to hear from you. Call the Aspirus physician recruitment office at 800-792-8728 or email us to discuss your situation, interests and specialty. Use the options below to filter the available opportunities.